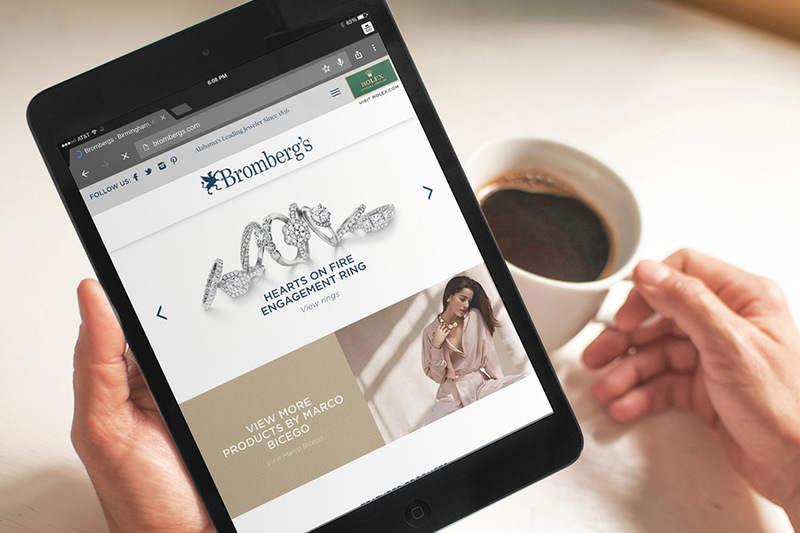 With a company like Bromberg’s, we knew name recognition would not be an issue. The family owned and operated company had been in business for more than a century, and their local radio ads had been successful earworms for years. 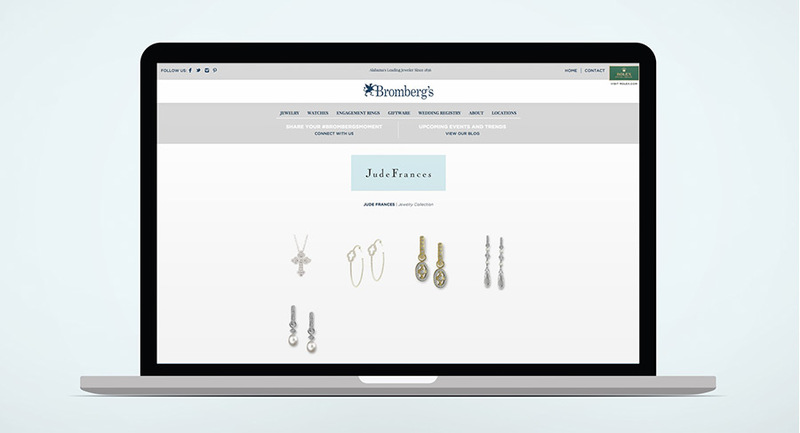 Their reputation as a purveyor of fine jewelry was secure, but when Bromberg’s needed a new website, we focused on a fresh and current look to show that the retailer’s future looks just as bright as its past. 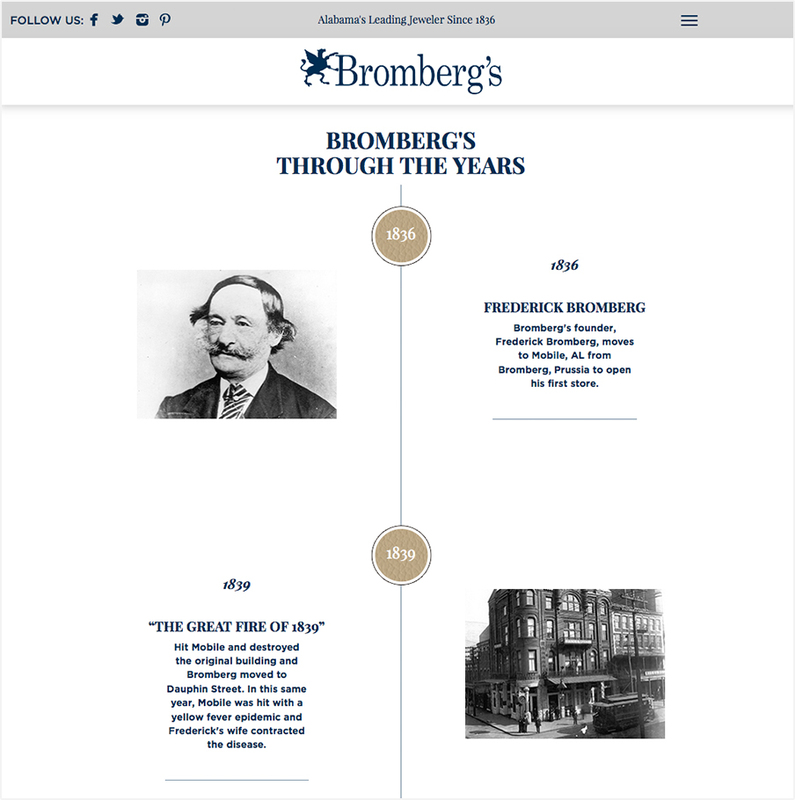 The redesign transformed Bromberg’s fixed screen-size website with outdated design into a fully responsive site with sophisticated parallax effects and an open, spacious design. The look is like a bright and modern jewelry case to cater to the browsing habits of a new generation of customers.